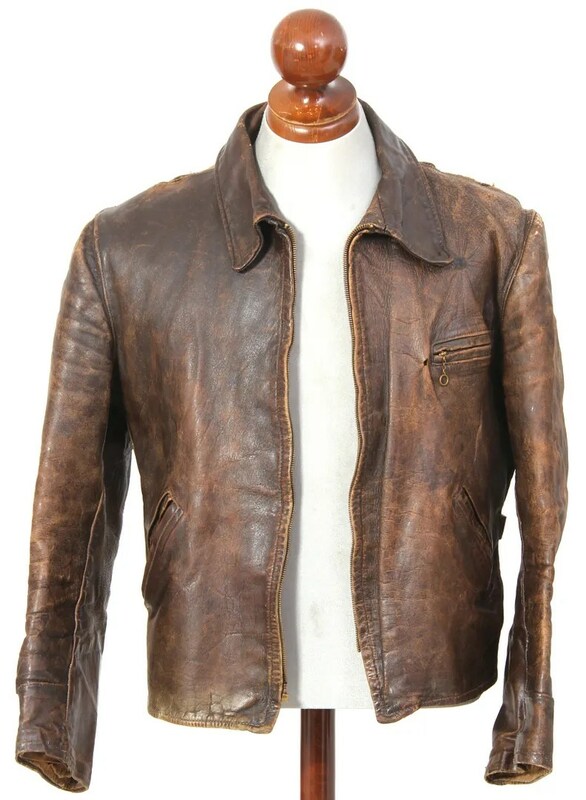 This vintage leather jacket was made in the 1940s or 1950s. 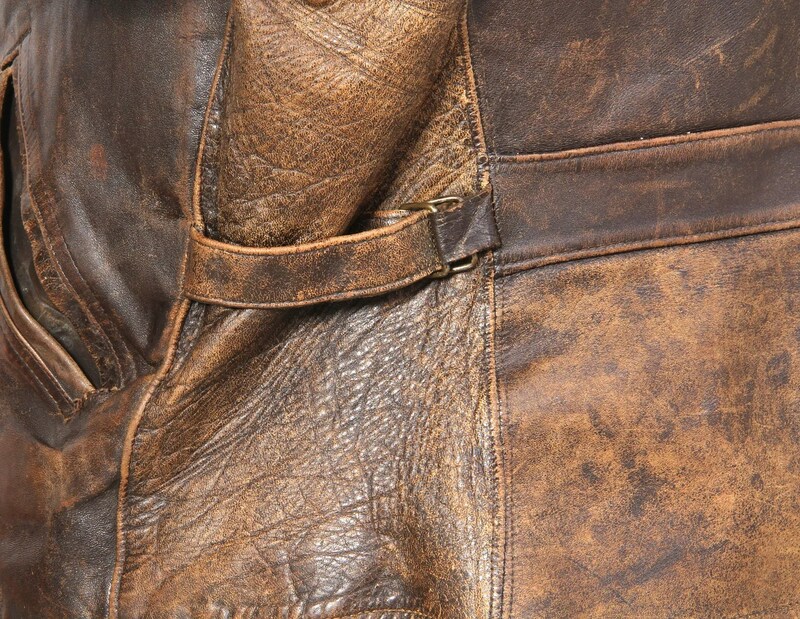 Its heavy leather feels like horsehide, but there are no tags. 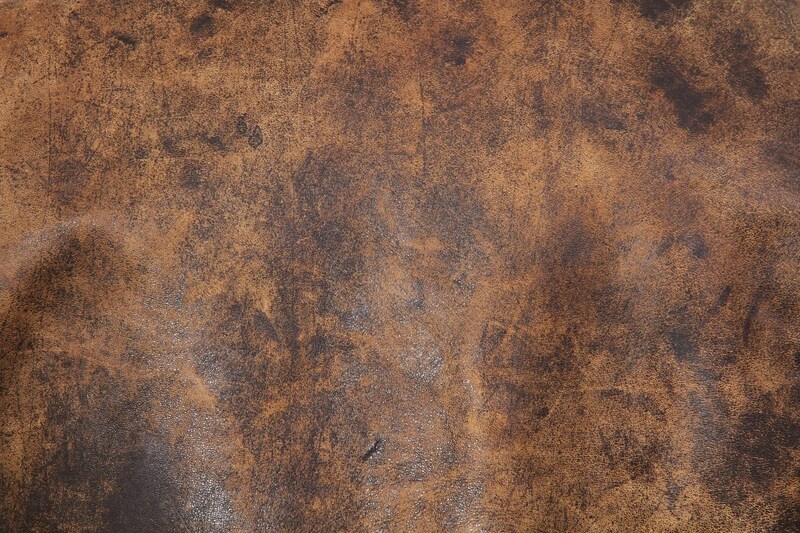 It has acquired an incredible patina to the leather, originally a dark seal color. 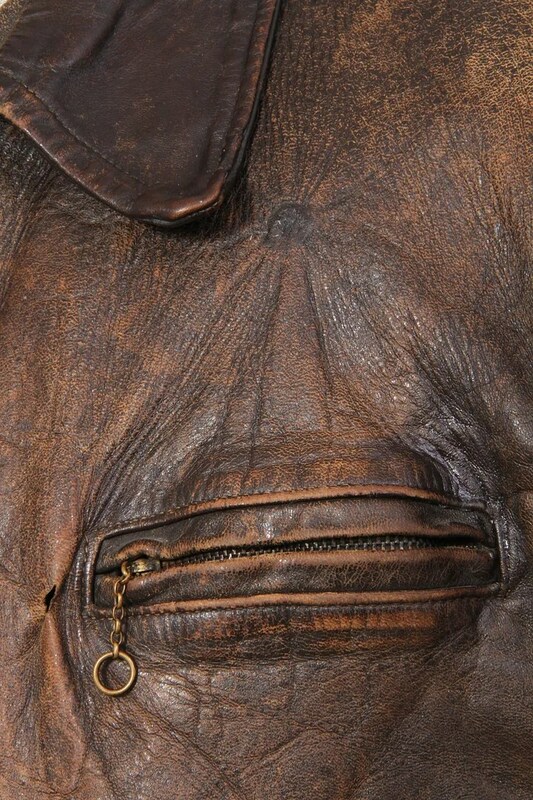 The main zip is a Scovill, but it is missing teeth and the slider, so it will need to be replaced. The jacket is a very clean design, with a shirt style collar, handwarmer pockets and a zipped breast pocket. The rear has a halfbelt with adjuster belts. Incredible grain and mismatched panels, each having taken on a unique character over the years. 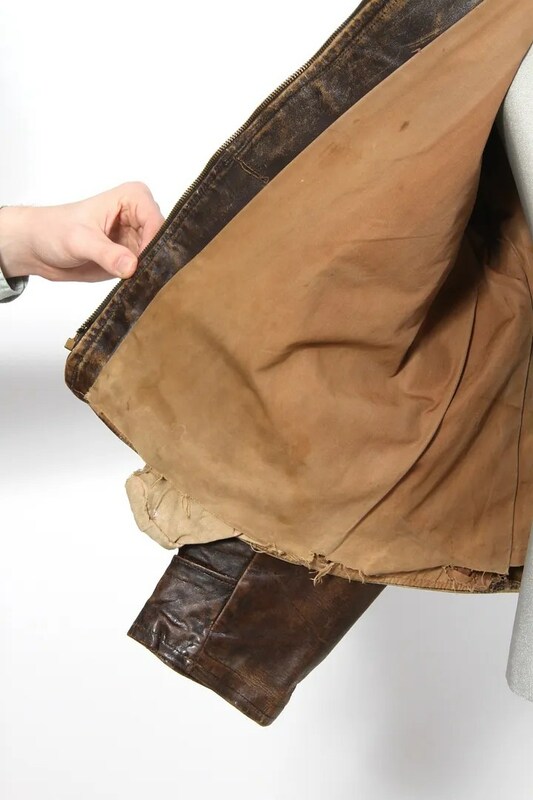 The jacket is lined in khaki cotton, and has no remaining tags. 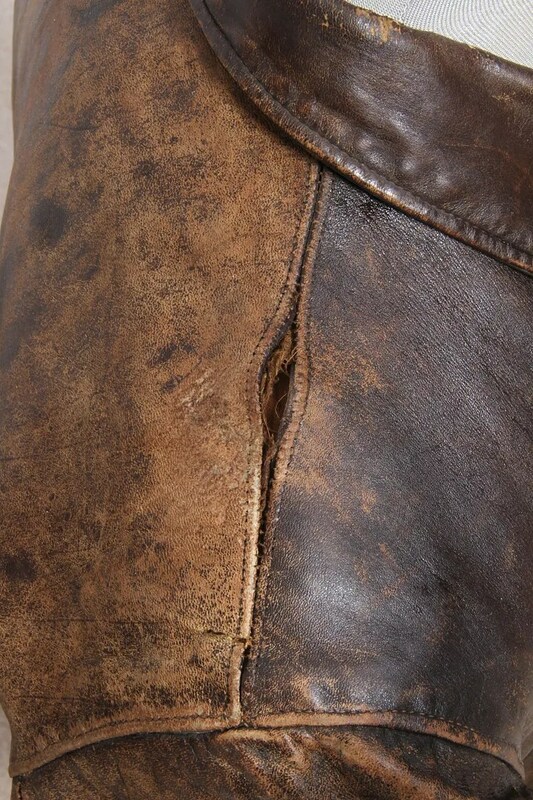 There is a small hole in the leather by the breast pocket, and places (shoulders, cuff, sleeve) where seams need to be re-stitched. 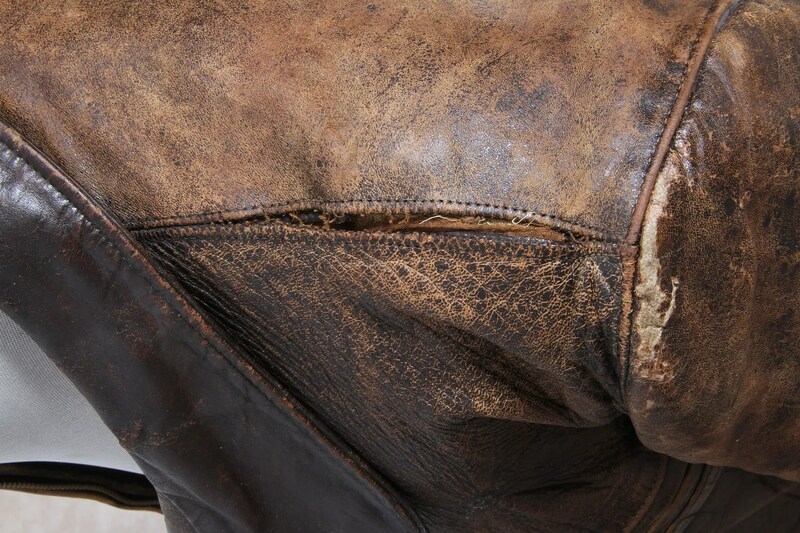 The leather is still strong, however, and has not worn through in the collar and cuffs like you would expect to see. 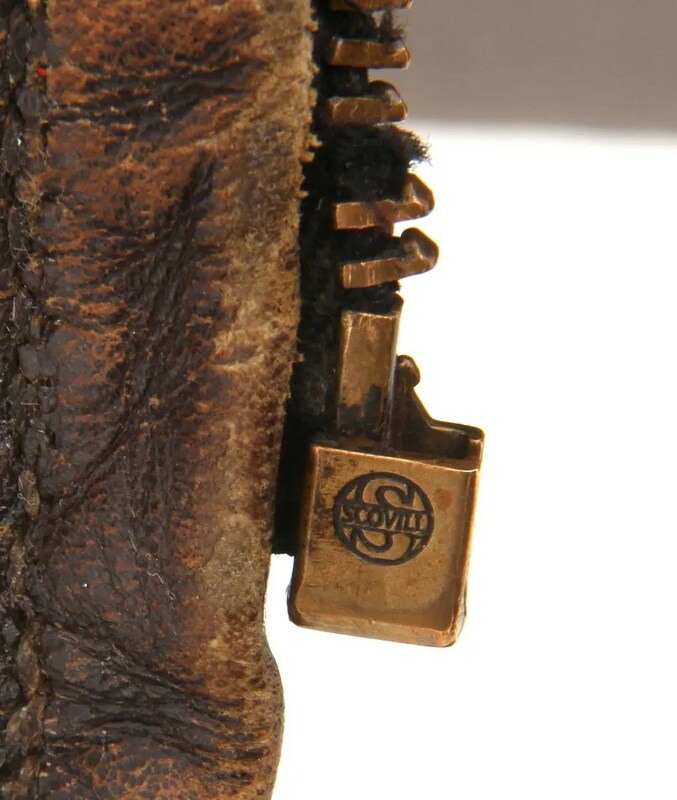 This entry was posted in Jackets, Leather and tagged 1930s, 1940s, biker, clothing, fashion, horsehide, jacket, leather jacket, longshoreman, mens, motorcycle, style, trucker, workwear by Spencer Stewart. Bookmark the permalink. Hi. 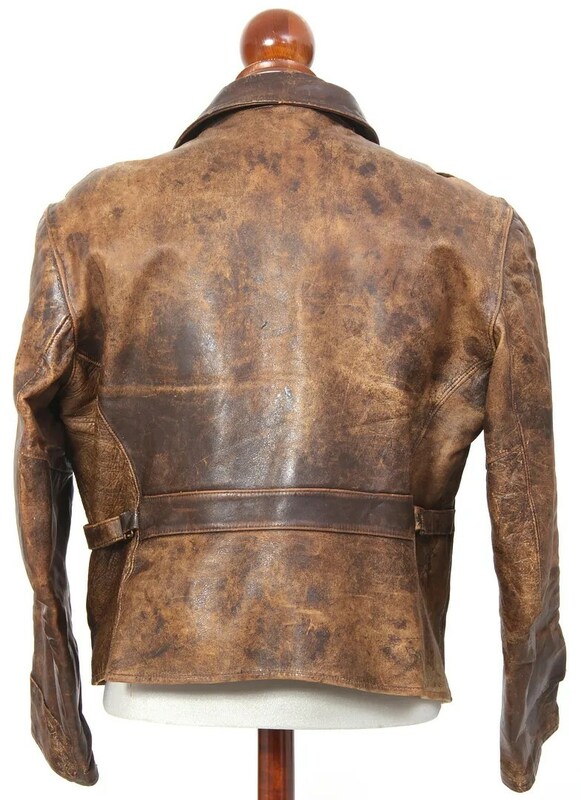 I just scored the same style jacket on Ebay for $100.00. It had the same exact issues as yours on the shoulder seam area. The zippers are not original however. I had my local leather guy fix the shoulder seams and I am now wearing it. Quite an incredible jacket. I just wish I knew more about it….tag is missing. Thank you.